John Steinbeck was born on February 27, 1902 in Salinas, California. He was the third of four children and the only son of John Ernst and Olive Hamilton Steinbeck. He grew up in the Salinas Valley and attended Salinas High School from 1915 to 1919. After this he took classes, among others one on short story writing, at Stanford University but he left without a degree figuring he had learned enough to be a writer. During his time at Stanford he periodically worked as a sales clerk, farm laborer, and factory worker. In November 1925 he traveled by freighter from Los Angeles to New York where he worked as a construction laborer. He was also briefly employed by "The New York American". In the following years - 1926 to 1928 - he lived in Lake Tahoe, California where he worked as a caretaker for a summer home. In the middle of the next year he finished his first novel, "Cup of Gold" which was published by McBride in New York. On January 14, 1930 he married Carol Henning. In the same year he met his longtime friend Edward F. Ricketts. Ricketts was a marine biologist as well as a philosopher. In the following two years Steinbeck published two novels. The first one was "The Pastures of Heaven" (October 1932) and the second one "To A God Unknown" (September 1933). In 1934 he gathered information on farm labor unions. He also interviewed a labor organizer in Seaside. His novel "Tortilla Flat" which was published on May 28th 1935, was his first popular success and its editor - Pascal Convici - became his friend. More novels followed in the next years: "In Dubious Battle" (1936), "Of Mice and Men" (1937). In 1937 he took his first trip to Europe and Russia. The next year he received the New York Drama Critics Award for the play to "Of Mice and Men". In 1939 "The Grapes of Wrath" was published by Viking, where Convici had become an editor after the bankruptcy of his own firm. It was to become Steinbeck's most successful book. Steinbeck received the Pulitzer Price for it and more than 14 million copies have been sold so far. The book provoked many arguments about the social and political situation in America. In 1942 his wife Carol filed for divorce. About a year later Steinbeck married Gwyn Conger in New Orleans. In August 1944 she gave birth to their first son Thom. John was born 1946. Steinbeck published two novels in 1947: "The Wayward Bus" and "The Pearl" (both Viking). He also toured Russia with Robert Capa (a photographer) in the same year. In 1948 after 6 years of marriage Gwyn and Steinbeck were divorced. In 1950 Steinbeck married his third wife Elaine Anderson Scott. Steinbeck published further works during the following years. The novel "Sweet Thursday" was issued in 1954, "The Short Reign of Pippin IV" in 1957, and his collection of wartime dispatches "Once There Was a War" in 1958. In 1959 and 1960 Steinbeck traveled a lot. He visited to England but also toured the United States. In 1962 he published the journal of the 1960 tour through the U.S. - "Travels with Charley". He went to Scandinavia, Eastern Europe, and Russia the next year. 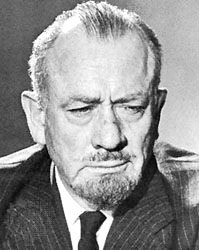 In 1962 Steinbeck received the Nobel Price for Literature. As another award he was also presented the United States Medal of Freedom in 1964. Steinbeck died on December 20, 1968 in New York.